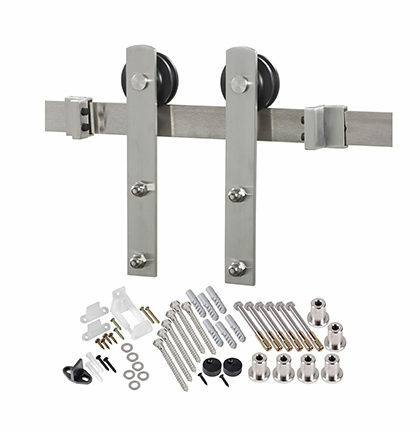 The hardened steel straight door strap design hanging hardware is available in three finishes to match your décor. 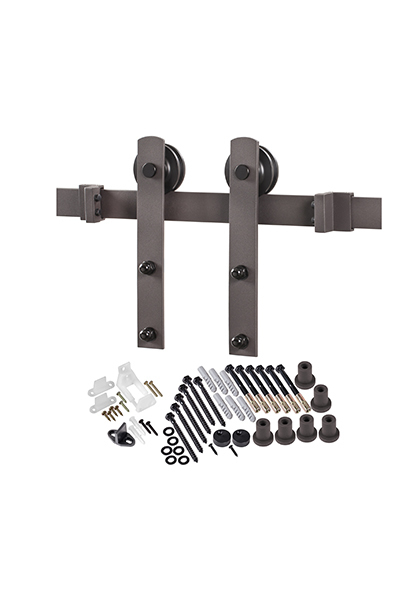 The standard 78 3⁄4″ or 96” track is suitable for use with	… our standard 1 3⁄8” or 1 ¾” thick barn doors to complete your look. 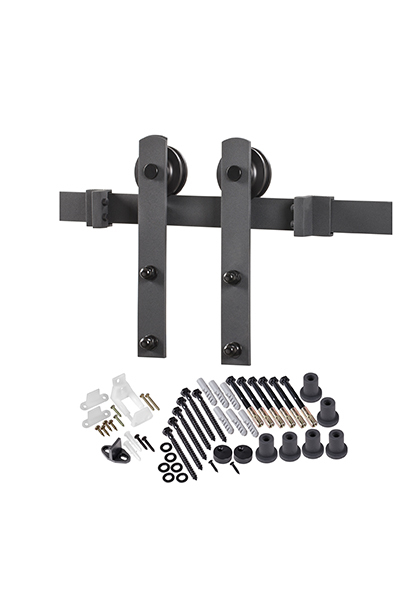 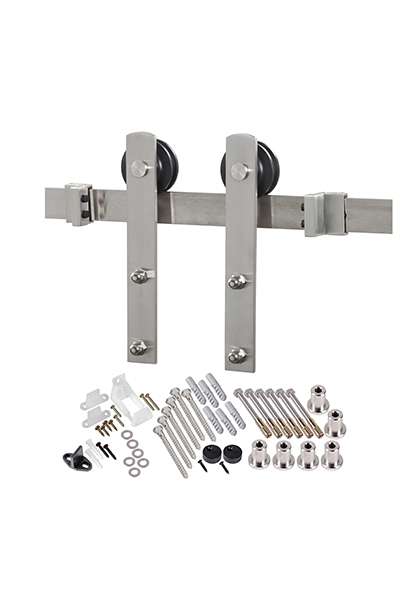 Wall mounting hardware provided with each kit includes screws and anchors for drywall application and options for carriage anchors and bolts for solid wall application for ease of installation.